A special Welcome to students’ and their parents visiting our school from China! These students will spend this week in our classrooms and get a glimpse of the Timberwolf experience. Thought Exchange is BACK! Please respond to the email invitation being sent by the school district tomorrow, February 5 and share your thoughts about our school. The top 3 schools that get the most participation in the district will receive an additional $600!!! This is a great way to support our Makerspace! If you do not receive the email invitation you can register on the district website at http://www.cvesd.org. You have until February 25 to respond to phase one of Thought Exchange. Monday, February 5 at 3:30 School Site Council Meeting. 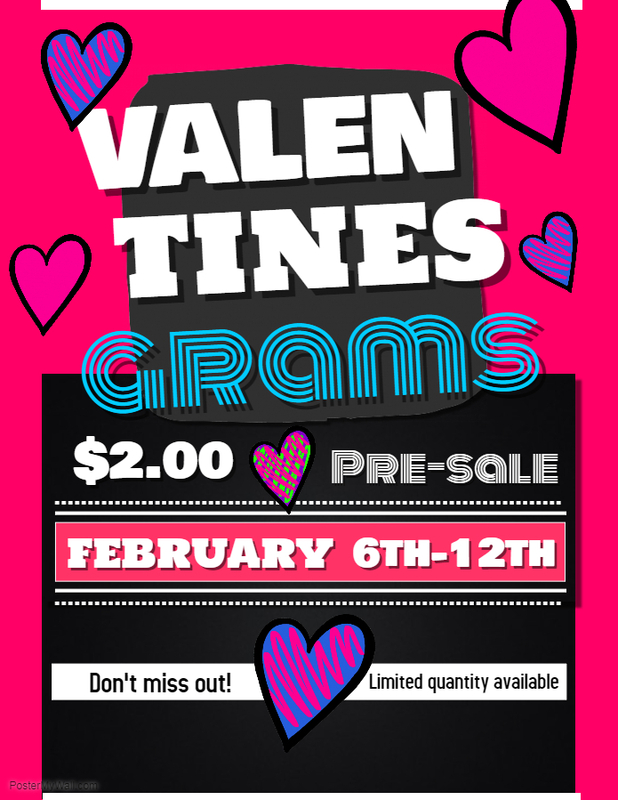 Tuesday, February 6 through Monday, February 12 Valentine Grams and School Dance Tickets go on sale before and after school. Friday, February 9 The Jump Rope for Heart Event will take place on the blacktop starting at 1:00 pm. Please make sure to complete and return the envelopes that were sent home January 29. All funds raised go to support the American Heart Association. Also, to send messages to family and friends to ask for their support visit http://www.heart.org/jump. Wednesday, February 21 – Registration for new students for the upcoming 2018/2019 school year will begin. Packets will be available in the school office beginning February 7th. If your student/s is currently attending Wolf Canyon on a zone transfer, you will need to visit the school office between February 7 – 14 to complete a new zone transfer for the 2018/2019 school year. Afterschool Math classes are being offered by Brilliant Foreign Language Education for 14 weeks. Registration is $50 and tuition is $280. For more information call 619-739-3827, 619-421-2300 or go to bfle2014@gmail.com. Kids Like Clay is offering classes on Fridays from 1:45 pm – 2:45 pm for students K-6 beginning February 9, 2018. Click here for more information. Brilliant Foreign Language Education is offering Math classes on Fridays from 2:00 pm – 3:00 pm beginning February 2nd. Click link for more information. Yearbook pre-sales are underway through the end of February. All orders must be placed ONLINE. Yearbooks are $36.00. If Yearbooks are ordered after February they will be $50 and only if available. To order go to: http://community.pictavo.com/c/312538 THE SCHOOL CODE IS 72719. You are invited to attend a parent meeting to review the Chula Vista Elementary School District’s Family Life Program, “Adolescent Growth Education” AGE Parent Preview Letter – Eng & Spanish.